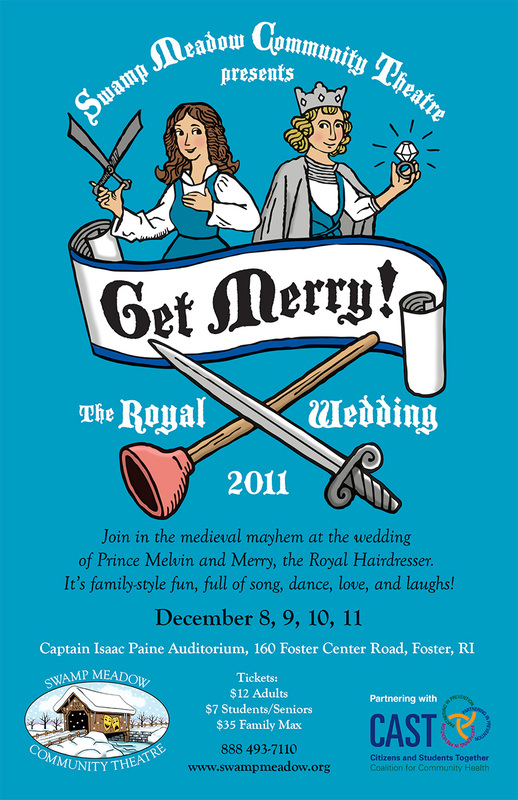 This production opened on December 8, 2011 and closed on December 11, 2011. Writing-and-directing team Liz Goulet Dubois and Bob Hollis had been hard at work expanding the original story of Melvin, the Prince of Foster and his lady love Merry, the Royal Hairdresser. 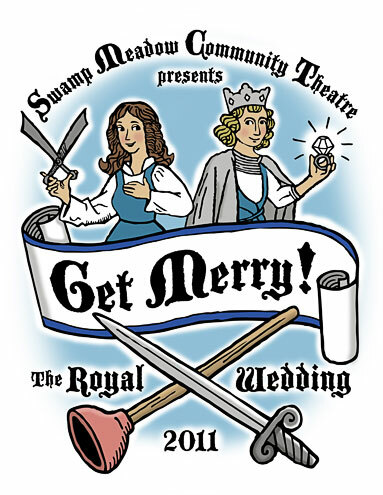 All the excitement of the engagement is revisited and the audience will be taken on a wild ride through the Royal Wedding preparations. The Queen is up to no good, attempting to wreck the wedding and have her son marry the girl of HER dreams, Winivere. With the assistance of the Royal Fools, Phil and Bud, and Melvin’s royal pain-in-the-pantaloons cousin Louie, the plans are sure to go off without a hitch. Or will they? Our talented ensemble cast guaranteed more laughs, music, intrigue, and sheer fun than is usually allowable in this century!